DIAL: Matte black with luminous hour markers, luminous steel “pencil” hands. CONDITION REPORT: Case is in excellent unpolished overall condition. The bezel is original with its original lume and in mint condition. The dial is in stunning condition with a rich patina and natural aging of the luminous markers. The hands are original with darkening at the base of the tritium luminous center. The crown was replaced during service. Overall, the watch is stunning original and untouched condition. 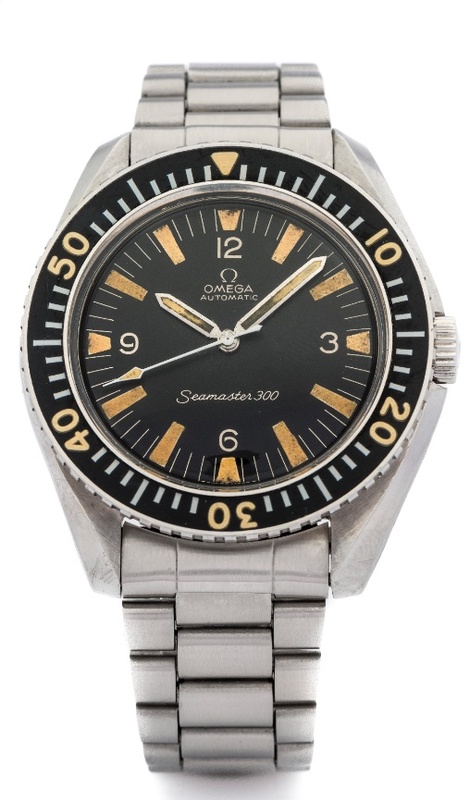 NOTES: According to the Omega Museum the present watch was produced in March 1967 and delivered to Spain.